Product code: 745 Categories: Sold Items, Sold Rings. The Art Deco era was all about style and elegance, and here we have a wonderful white gold ring dating from the late 1920’s, set in a wonderful geometric design. Centred around a traditional cluster design, there are 7 brilliant cut diamonds surrounded the centre diamond. To further give the ring so much style, there are a total of 52 single cut diamonds in a fan-like pattern. The total weight of diamonds is an impressive 2.05cts and they are F in colour and VS-Si in clarity. 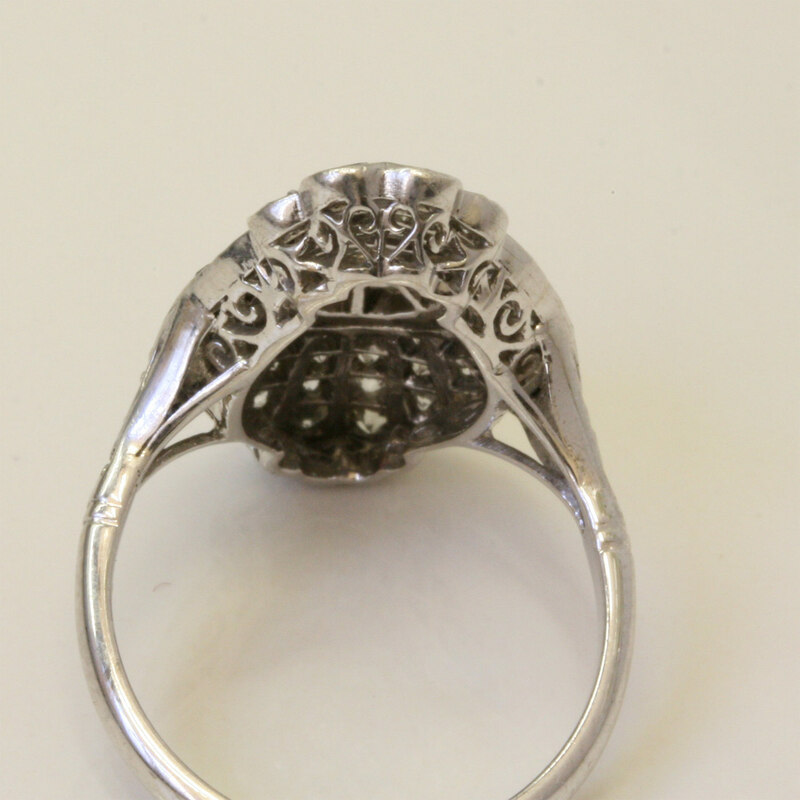 The work on the underside is even wonderful with the very fine heart motifs supporting the ring. If you like the Art Deco era, and are after an Art Deco diamond ring, then take a nice close look at this sensational ring.